Edmonton, AB - Maternity care consumers are encouraged by the Government of Alberta's Budget 2016 commitment to increase midwifery funding by $11 million over three years. With approximately 400 additional courses of care per year for the next three years, about 1200 more families per year will benefit from midwifery care by the end of the third fiscal year; however, many maternity care consumers will still remain on the wait list for midwifery care. "While MaternityCare Consumers of Alberta Network (MCAN) remains encouraged by our government's responsiveness to the consumer-led push for better access to real choice in maternity care, and while consumers are grateful for every additional opportunity to seek midwifery care, more than one thousand families on the wait list this year will still not have the chance to obtain the maternity care they desire," said Misti Lee McFarlane, acting President, MCAN. "With an estimated birth rate of more than 57,700, midwives will be catching well under ten per cent of Alberta-born babies at the end of this three-year period. Unfortunately, upcoming midwifery graduates may still not be able to work in the province that trained them." The announcement of a three-year commitment to steady funding increases for midwifery services gives Alberta midwives - and consumers - reassurance of funding past a one-year period. 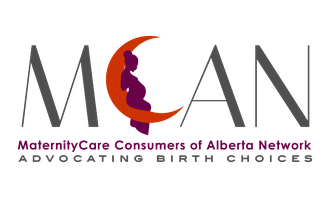 MCAN is confident in the work the Alberta Association of Midwives, Mount Royal University, and various other stakeholders are doing to develop a sustainable funding model for midwifery care and is encouraged by the government's support of this model. Consumers have been working incredibly hard to advocate for midwifery care and women's rights to choice in childbirth. While the process for change is slow and complex, our voices are being heard and we are moving towards real change. Maternity care consumers will not stop advocating for change until midwives have a long-term contract, a sustainable funding model with dollars that follow the consumer - not the provider - and until every Albertan woman has the unconditional ability to choose where, how and with whom she births.